Emma Murphy, a special needs teacher and Mum of two, shares her experience of work and how her son’s needs have helped her in her job. 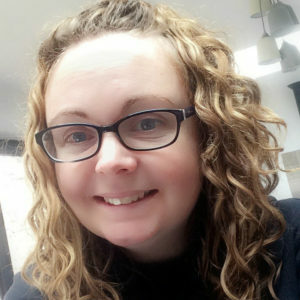 I’m Emma Murphy, a special needs teacher from Birmingham. I initially trained as a primary school teacher and taught in Key Stage 2 for two years, after which I made the move to a special school where I specialised in teaching children with Autistic Spectrum Disorders. I have two children, aged 8 and 7, my youngest has an undiagnosed genetic condition (otherwise known as a Syndrome Without a Name or SWAN). As a result of his complex and severe health needs, I was unable to return to my teaching role after his birth and had to resign. I have, however, since returned to teaching on a day-to-day supply basis whilst he is well and in school. The flexibility of supply teaching allows me to still be there for my son during his frequent hospital admissions, whilst also enabling me to do the job I love. What age range of children do you teach? Although I was initially trained as a mainstream primary teacher, my heart is in teaching in special schools. I like the challenge of adapting the curriculum to meet each child’s individual needs and relish the opportunity to unlock their potential. I love being able to celebrate every achievement each child makes, whether that be a significant milestone or a much smaller step; I enjoy enabling children to progress to the best of their own ability. Teaching part-time and on a supply basis, allows me to keep doing the job I love but also ensures that I have the flexibility to be able to support my son if (and when) he becomes ill and is admitted to hospital. I began supply teaching in March 2015 and have enjoyed working with varying groups of children in the time since. The joy of supply teaching is that it has enabled me to teach such a wide range of children and ages, from nursery age up to year 6 (although I would be happy to teach KS3 and beyond, if appropriate). I have taught those with challenging behaviours, children with moderate and severe learning difficulties, children with autistic spectrum conditions (which is my specialism) as well as those with profound learning needs and complex health issues. And everything in between too! I have a PGCE in Primary Education and another PGCE in Special Education and Autism. This was originally supposed to be a Masters in Autism, but I was unable to complete the course, due to my son’s health. I still hope, one day, to return and complete the remaining modules, if possible. It is my experience rather than my qualifications that help me the most in my role though. I believe I am in the relatively unique position of having extensive experience of teaching children with a variety of special educational needs, coupled with the personal experience of raising a medically complex child with profound learning difficulties. I think being a parent has made me a better teacher, but being the parent of a child with such severe and complex needs has enabled me to relate to the children I teach, and their parents, in a way I was unable to do before. How does being Hugh’s Mum to Hugh affect your role as a special needs teacher? Since having Hugh, I have had to completely adapt and improve my skillset in order to be a better parent for him. I’ve learnt lots of specific medical skills: tube feeding, suctioning and basic life support, as well as learning about many different health conditions that I knew nothing or very little about. My confidence has grown as I have done so many things that I would never have thought possible before given presentations to groups of doctors or at large charity fundraising nights, for example. Previously, I was the one who would go bright red if asked a question in a staff meeting! I think I can relate more to the children now. I find it easier to see beyond behaviours and look for the causes. I think I used to be a lot stricter – I’ve been told on more than one occasion that I’ve become ‘soft’. I like to think of it as tolerant and more patient and empathetic. I understand the parent’s needs better now too. I know many of them have faced battles to get their child into a special school, that they can be worn down and weary with all the fighting to get the very basics that their child needs. In particular, I understand now that what a teacher sees in a classroom may not be the same as what a parent sees at home. I know now that the parent is the expert in their own child and that if they have concerns, even if I don’t see it, that I should listen to them. What advice could you share with other teachers of children with additional needs? Two seemingly small, but crucial things I have learnt – ones that any teacher can take away and change tomorrow, is that it’s incredibly important to write as much as you can in the home-school book. A parent might not reply for many reasons, but the majority of parents I know cling to the information that book contains. Hugh and I have conversations about what he has done all day (one-sided conversations as he’s non-verbal), but it gives me such an insight into what happens each day at school, what he has enjoyed or what he has disliked. I completely underestimated the importance of that book as teacher before having the children. The second is to never, ever ring a parent and not leave a message. I know I’ve made calls before, just to pass on fairly unimportant bits of information, they’ve not answered and I’ve though ‘it’s not important enough to leave a message, I’ll send a note home’. Now I know the panic I get every time my son’s school rings – has something happened? Is he OK? When I ring parents now, I always start the conversation with ‘There’s absolutely nothing to worry about, your child is fine’. It’s the little things like that that I’d never have considered before having Hugh. Head over to Emma’s blog Little Mama Murphy to read more about her life and family. Emma has also given us some advice on how to find the best school setting for your child and what to do if your child’s current school isn’t right for them. We’ll cover these next week.